This week, we're focusing on a vibrant colour clashing palette. 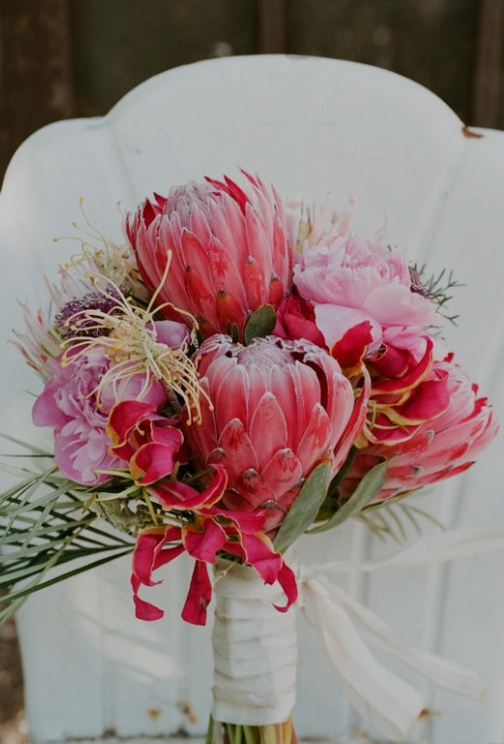 Though right now the evenings are certainly looking more glum and grey, we are thinking ahead to all those gorgeous ceremonies being held next Summer, where these pops of pink and blue will truly shine amidst a luscious array of greenery. So curl up on the couch, get yourself a cuppa, and let's get inspired! 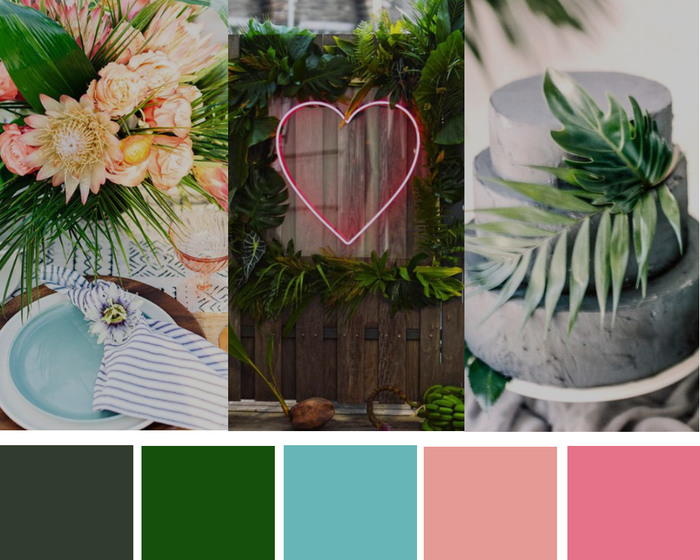 The colour palette this week is far from subtle and is therefore not for the faint at heart; clashing pinks and various shades of blue come together as a stunning fiesta of colour and excitement - a true feast for the eyes. We have to thank fellow North East blogger Scran on the Tyne's review of the stunning Le Petit Château, in Otterburn for all of our inspiration this week - we were instantly enamored with the contrast of their Mediterranean terrace against the sky and wanted to take this a little further with décor and styling. 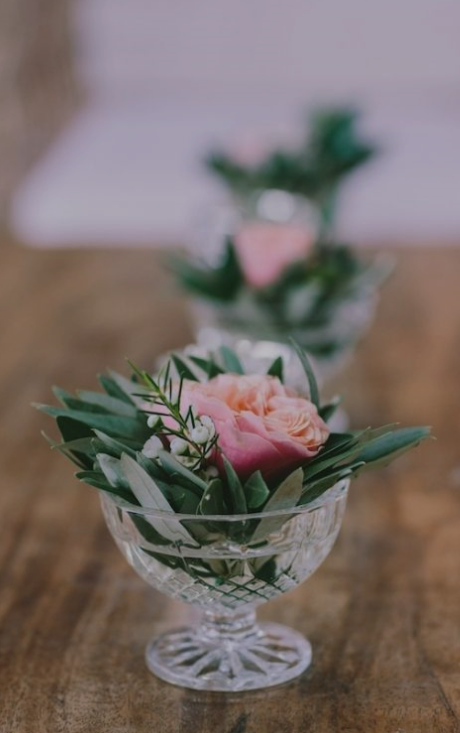 Though in previous weeks we have typically said most themes can be tailored to your favourite venue, we must say this week that any local bride & groom should seriously consider holding their big day at the stunning Le Petit Château in Otterburn. 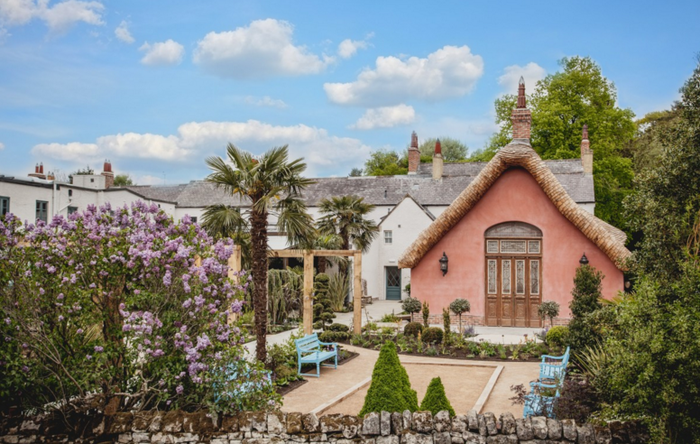 Aside from the stunning terrace itself, the catering and onsite accommodation is truly gorgeous and will set the scene for an outrageously memorable wedding experience, for you and your guests. If however, you are opting for something a little less formal or large in scale, there are certainly smaller details you can achieve yourself to hold a thoroughly colourful ceremony at smaller grounds. 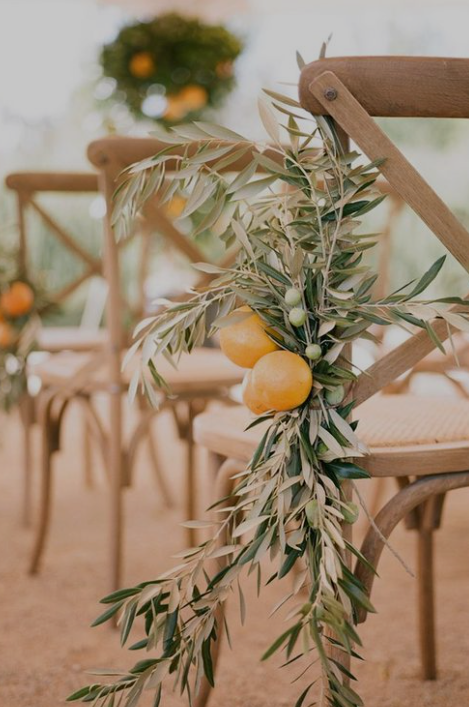 There is a wealth of inspiration online of ceremonies held in family gardens or smaller terraces (try hunting out quirky bars and restaurants) - if you aren't fond of bigger numbers you can very easily tailor this theme to create something cosy and intimate whilst still playing with colour and having fun! If there has ever been a colour palette which gives room to go a little wild, then this is it! 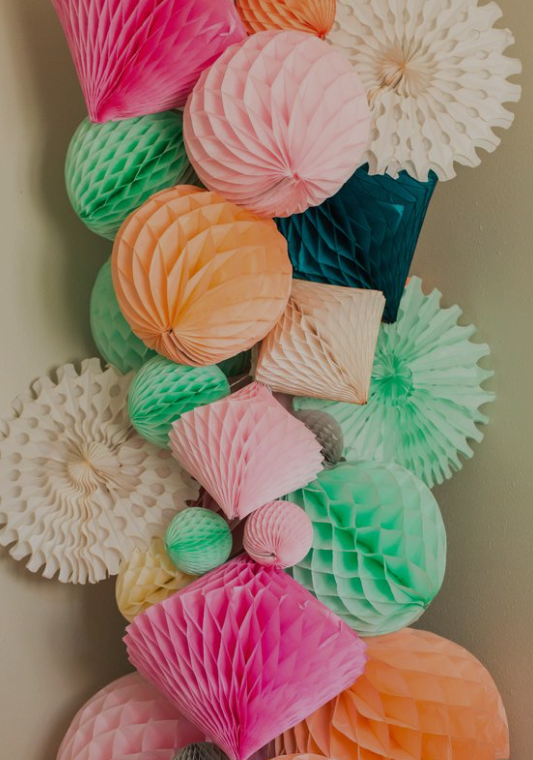 Though our initial palette includes shades of pink, blue and green, there is no restrictions here and you should feel totally liberated to add splashes of colour everywhere. 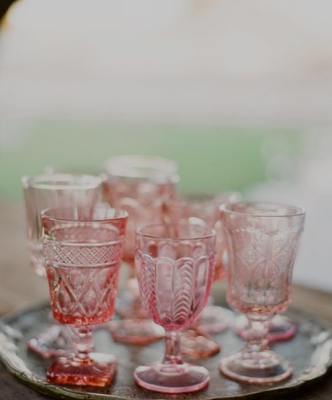 Simple adjustments to your table settings to achieve the look would be to opt for charger plates in metallic shades of gold or copper to lie beneath rich blue earthenware plates (or mismatched shades of blue crockery picked up whilst being thrifty would be equally cool) and then finishing with scattering an array of coloured glassware (pink, green, yellow). Plan ahead, as many high street retailers stock really affordable, bright and funky glassware during Summer for garden parties (try Wilko, Ikea and Flying Tiger Copenhagen); even if they're plastic it just means you're free from any anxiety of breakages later in the evening when drink starts flowing and dancing gets a little crazier! Adorning the table settings (or even the aisle!) with citrus fruits and foliage alongside rich pink flowers, the natural bright colours work stunning alongside shades of blue and pink and can be picked up extra affordably if you're willing to search out a fruit & veg wholesaler in your area. A quick and easy addition is to use patterned tiles as name settings - tiles can run a little expensive but do your research online and in store to find reasonable bulk prices. Some online retailers offer samples which can be a huge help too. 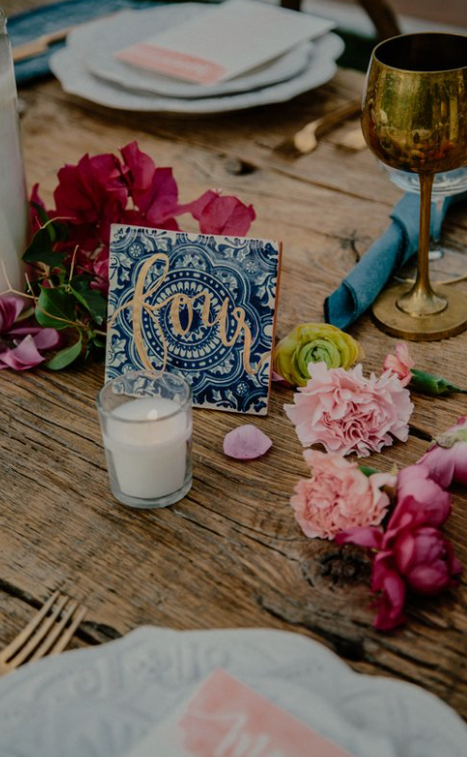 Get yourself a metallic pen (opt for a chalk paint pen in case you make any mistakes & so you can re-use the tiles after) and try your best script writing to create name settings or table numbers. 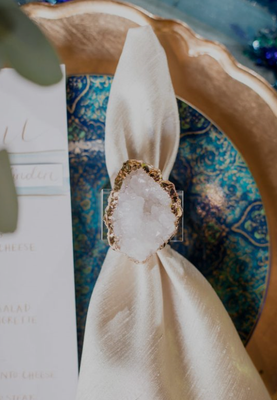 Amp up your napkins by buying varying patterns of fabric (preferably robust) and clashing ribbons to tie them, druzy crystals (like above image) are easily found online and then be threaded onto ribbon very easily. 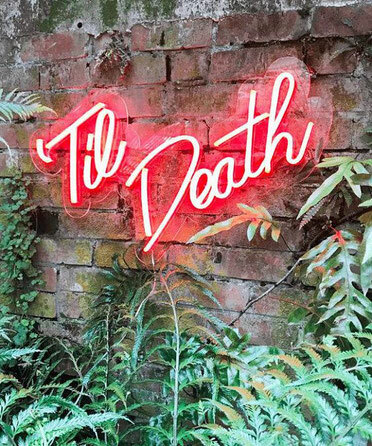 If you're setting up your space at home and want to lift the space a little, have a look on Etsy for personalised neon signage - it not only looks fantastic, it also offers really lovely mood lighting when the part-ay finds its way into the evening. 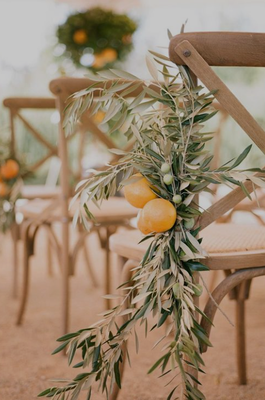 If you're venue/garden offers limited foliage to sit the signage alongside of, hunt out artifical palm leaves/ivy and other greenery on eBay to strew over walls and trellis (also super cheap in the likes of Ikea). 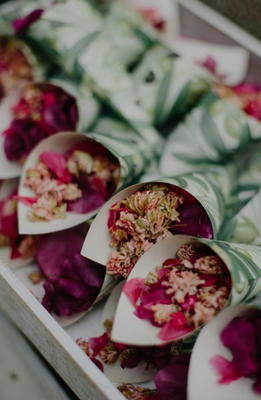 Dried rose petals are easily found online or wholesale, but feel welcome to give it a go yourself to retain extra aroma (and just to have fun!) - roll into cones and invite your guests to go wild scattering it around. Invest in a long length of heavy duty nylon thread and hang various coloured bottles and vases from high hanging branches and walls. 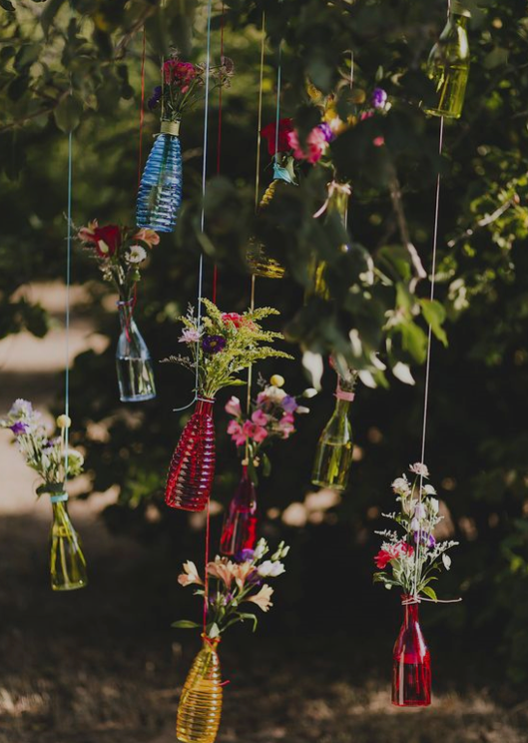 The addition of wild little flowers and feathers to the bottles adds texture and a little more interest, but is totally not a necessity. Buy some metallic spray paint - we have noticed it for as little as a couple of pounds in Aldi and it will quickly become your best friend. Cheap pieces of worn furniture, mirrors, frames and bottles can be painted to give them a whole new leash of life and purpose. Old photo frames can be painted to then insert print outs of table plans - you could then bring back your handy nylon thread to hang these or alternatively pin on a board or fence somewhere easily visible for your guests. 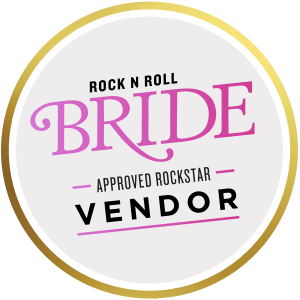 Most importantly, have loads of fun being as expressive and 'you' as possible - but that goes without saying for every bride & groom. This particular colour palette is handy as it's much less traditional and invites clashing and colour. Recently, a good friend of ours got married and had voiced that her Mum had persistently suggested she colour her hair something more 'subtle' (her hair was currently a vibrant hue of pink) on the run up to the big day - when the big day came, her hair remained a flamboyant shade of fuchsia, and nothing looked more spectacular on that day than her floral headpiece and veil against her thoroughly colourful locks. 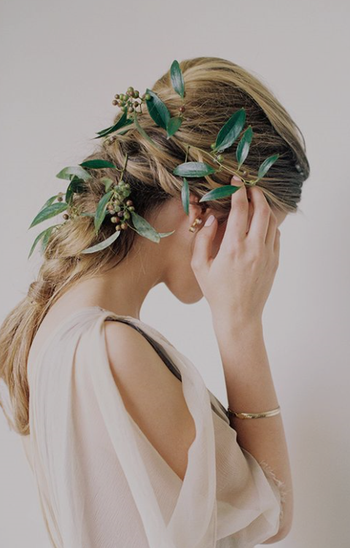 Typically in wedding styling the idea is to keep things minimal and sophisticated, but if the thought of pairing back your makeup and ditching your trademark messy hair is making you twitch - don't do it. Layer up jewellery at your will and apply as much lippie as you see fit, with this theme (and any wedding really for that matter) you're totally free to show your most authentic you to your family and loved ones. For more details please visit our Pinterest page. 'Ocean' Wedding Band. Marquise cut London Blue Topaz and Dark Blue Sapphire interspersed with 2mm round White Opals and Diamonds. 'Dawn' Cluster. 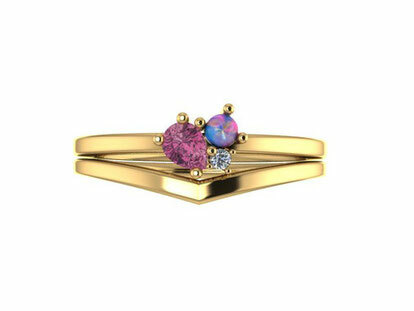 Pear shaped pink Tourmaline, nestled in with a brilliant cut diamond and cabochon cut opal, set in 18ct yellow gold.